Your young learners will have so much fun spinning and writing, with this CVC or Short Vowel Sound Edition of Spin & Write! 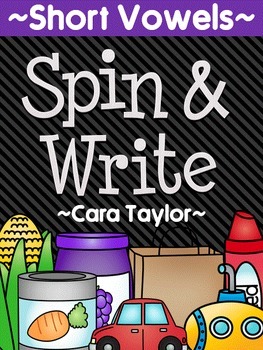 To learn, students spin and color in at least three of the CVC words of the target sound. They then use those words in a story they write and then illustrate their writing. 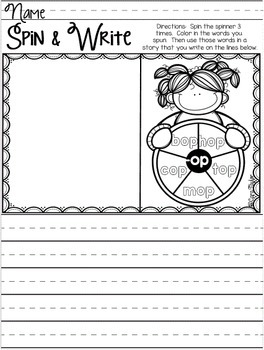 The stories can be silly or realistic; the more funnier the more interested your students will be! Be looking for more editions soon to come!